"Μια δυναμική, εμπλουτίζοντας την εμπειρία σε μια εύθυμη μαθησιακό περιβάλλον"
Μία από τις παλαιότερες πόλεις στις Η.Π.Α., η Βοστώνη είναι πλούσια σε πολιτιστική κληρονομιά και προσφέρει στους επισκέπτες της μια ποικιλία από πράγματα που μπορείτε να δείτε και να κάνετε. Από το Μουσείο Καλών Τεχνών, το πατινάζ στο Boston Common και τα παιχνίδια μπέιζμπολ στο πάρκο Fenway, η Βοστώνη έχει κάτι για όλους και αποτελεί τον ιδανικό προορισμό αν θέλετε να μάθετε Αγγλικά στις Ηνωμένες Πολιτείες. 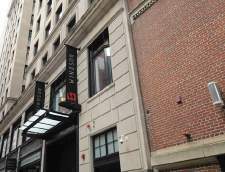 Το LSI Boston βρίσκεται στα σύνορα της Chinatown και των περιοχών Theatre και Financial District, πολυ κοντά στους σταθμούς Μετρό, λεωφορείων και των τρένων. Το σχολείο μας προσφέρει εξαιρετικές εγκαταστάσεις προκειμένου να σας βοηθήσει να μάθετε Αγγλικά, συμπεριλαμβανομένων μιας βιβλιοθήκης για τους φοιτητές, μια αίθουσα υπολογιστών με πρόσβαση στο διαδίκτυο και ένα φοιτητικό σαλόνι. Προσφέρουμε μαθήματα προετοιμασίας για τις εξετάσεις TOEFL, καθώς και γενικότερα προγράμματα ESL. Εγκαταστάσεις: 9 σύγχρονες αίθουσες διδασκαλίας με ανώτερο όριο μαθητών τους 15, 15 υπολογιστές για τους φοιτητές, δωρεάν Wi-Fi, πολυ καλή σύνδεση με τα μέσα μαζικής μεταφοράς, εξαιρετική τοποθεσία, φούρνο μικροκυμάτων και ψυγείο για τους φοιτητές, σύστημα ηλεκτρονικής εκμάθησης, φοιτητικό σαλόνι και ταράτσα. Embassy Summer Programs have everything you could ever want in a Summer program. We combine our elite English programs with a range of activities and excursions. The great part about them is, they are all inclusive! One price includes course, materials, accommodation, full-board 3 meals a day, activities, and scheduled full-day excursions. We make our lessons enjoyable, because we believe that when you are having fun, you are learning even more. Our teachers are all qualified, experienced professionals who use a variety of techniques in the classroom: one moment you might be taking part in group discussions, the next, working in pairs or individually. 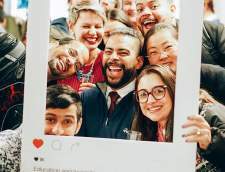 Our students come from all around the world - you'll have the chance to meet and make friends with people from many different cultures, all speaking the common language of English. Embassy Boston Tufts Centre is just a few minutes' walk the local subway “T” station with easy access to and from downtown Boston, Harvard Square and MIT. If you like to be in the heart of things, Boston Tufts is the centre for you. There are also many opportunities to participate in the full programme of excursions and activities available exclusively to Embassy students. You'll be close to the Atlantic Coast beaches and historic local towns such as Salem, Lexington and Concord. All your meals will be provided for you, either at the residence or at the study centre. On full-day trips out, a packed lunch will be provided. There’s a wide range of good, nutritious food served, usually in a canteen self-service. There are always vegetarian options for each meal. If you need a special diet, this can be catered for. "Ήταν μια μεγάλη εμπειρία για την αντιμετώπιση όλων αυτών των ανθρώπων." Our centre is located in the upscale district of Back Bay, Boston’s premier neighbourhood with luxurious homes and up market shopping. From here it’s a short subway ride to the heart of all the action in downtown or a short train ride will take you out into the peaceful Massachusetts countryside. Our centre, established in 1992, is right next to a subway stop, near the Charles River and has been recently refurbished. 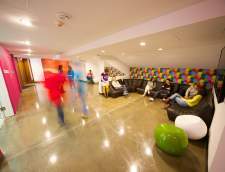 EC Boston is a TOEFL IBT testing centre and has a wonderful atmosphere and fantastic facilities. "Ω, ήταν πραγματικά υπέροχη εμπειρία για μένα. 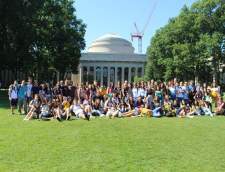 FLS Boston είναι ένα από τα καλύτερα σχολεία σε όλη την Βοστώνη!" FLS International's newest center is located in the heart of Boston overlooking Boston Commons, the city's famous public park and gardens. The language school offers a variety of programs students can choose from and is close to many cultural attractions including art museums and libraries. The subway system in Boston will also allow students to experience the different neighborhoods of the city, each with their own subculture. FLS also organizes weekend trips to areas beyond the city. "Αυτό επιβεβαίωνε τις ανάγκες που είχε παρουσιάσει στο σχολείο, πριν έρθω, το ένα πολύ οξυδερκής και επαγγελματικό τρόπο." Boston School of English is a fully-accredited intensive English language program with over 90 years of experience in language training for international students. BSML prides themselves on being the best pathway to an American university for many young adults and the school of choice for many professionals looking to enter more actively into the global business community. From the moment you walk through the door, you will know that you have arrived at the leading language school in the USA. Boston School of English has effective methods of study, using their own exclusive textbooks. BSML’s highly-qualified American teachers are thoroughly committed to helping their students reach the goal of English fluency. Students can live with friends in student shared apartments and practice their English with their new international friends, or live with an American host family, and fully experience American culture and family life. Business professionals may also be interested in living in an executive apartment located in the heart of beautiful Boston. Classes are offered year round. The OHC Boston center is located downtown near the Faneuil Hall Marketplace precinct where you will experience great English teaching and social events but also enjoy your study surrounds of an amazing historical city with its blend of stylish sophistication and famous New England charm. But that’s the easy part, we then focus on making sure our clients and students have an amazing time while they are staying with us. Every detail of our center, including our buildings, our activities, our Student Houses and our academic programs are designed to offer a worry free and fun filled academic and travel experience that surpass all expectations. This vibrant, thriving city is renowned for its famous cuisines cultural facilities, world-class educational institutions and universities, champion sports franchises, as well as its place at the very forefront of American history. Tourism is one of New England's largest industries; as the region's social and commercial "hub", Boston is willing to accommodate and entertain you as few other cities can with sites such as the Freedom Trail, Fenway Park, Harvard University and Public Gardens. Boston is one of America's oldest cities, with a rich economic and social history and a calendar is brimming with exceptional musical and theatrical productions, world famous sporting events and ethnic festivals. There's history to be enjoyed as well as the freshest local seafood. There are pocket-parks, public squares stroll or sample hand-crafted beers and taste test at Chowderfest. At OHC we strive to provide quality, innovative education which enables individuals to develop and fulfil their potential by; inspiring and facilitating the realization of dreams and being a role model for English language teaching that is vibrant, meaningful and inspirational. OHC teachers contribute to and promote education by strengthening the social fabric by bringing different cultures and peoples together, while providing a sustainable and supportive environment in which students and staff can grow. We offer students the best combinations – young and distinguished, contemporary and traditional, sophisticated and casual. 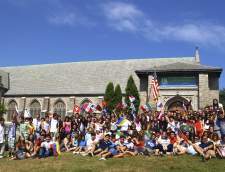 English classes at International House Boston will help you to experience it all! We also offer a vibrant social program for which we organize group excursions so students can have fun practising their English while taking in the sights of Boston. Whether you are a Beginner or Advanced-level English learner, OHC Boston is the ideal place to study and progress to the next level. 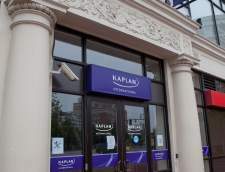 Kaplan Boston is located in the Haymarket area of downtown Boston. A variety of English courses are taught to suit students' needs and ability levels, and test preparation courses for the GRE, and GMAT are also available. Modern facilities include 2 computer labs with free internet access, and classes are taught by qualified, experienced, and friendly teachers. 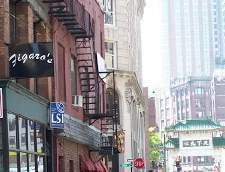 The city of Boston offers many extracurricular activities for students to enjoy including lively bars and cafes, cinemas, theaters, museums, and professional sports teams. Since 1978, students of American English have enjoyed the best language training available. You will find the variety of academic programs expected from the leading institution in its field. ELC Boston is located in the heart of the beautiful and historic Beacon Hill. ELC Boston has 19 classrooms, 2 conference rooms for executive students, a computer lab, and a student lounge with couches, tables, refrigerator, microwave, and 3 additional computers. ELC has the best location in Boston for students! We are conveniently located within walking distance to the Boston Common, the State House, Faneuil Hall/Quincy Market, Downtown Crossing and many more shops, cafes and restaurants. Delightful art galleries, boutiques, bookstores, and sidewalk cafes line cosmopolitan Newbury Street just across the Boston Common. Afternoon excursions will take you to Cambridge where Harvard and MIT are located and to the Freedom Trail, the Museum of Fine Arts, the Museum of Science, and sports events of all kinds. 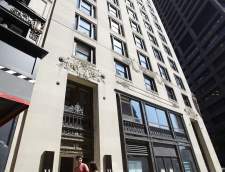 The school is located in a historic building in the heart of Boston, near the Downtown Crossing. 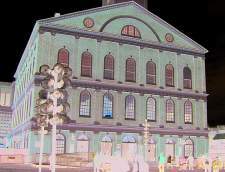 It is down the street from the Old South Meeting House and is just minutes away on foot from the T subway stations. It is also an easy walking distance from historical sites and surrounded by restaurants and stores in the same area. Our school in Boston is fully equipped with: A welcoming reception area Spacious and fully equipped classrooms A study area A recreational area Internet access With our laid-back school, qualified and talented teachers and unique approach to language teaching, you can rest assured that your time in Boston is a worthwhile learning experience. Our trained teamers also play a fundamental role in your language and travel experience and are eager to share this amazing city with you as you enjoy our extensive leisure programme. Our group sizes are limited to a maximum of 15 students per class, which ensures personalised and effective learning. With our enjoyable and fun approach to language learning you will find yourself absorbing the language almost effortlessly while experiencing the English language naturally. GEOS Languages Plus Boston is located a short walk from Government Center, Faneuil Hall & Quincy Market, and Downtown Crossing. 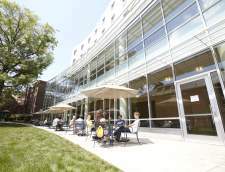 Modern facilities include 8 spacious classrooms, student computers, wireless internet access, a student lounge, and additional study and resource materials. Students can also choose from a variety of courses for their needs. 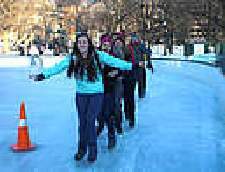 The school is within a few blocks of Boston's famous Freedom Trail, and a short subway ride from many of Boston's famous universities, including Harvard and MIT. Quick facts about Boston: 1. Founded in 1630, Boston is one of the oldest and most culturally important cities in the United States. This is why this location is so ideal for international students to study English and learn about American culture. 2. Boston is the city with the largest population in the state of Massachusetts. 3. You can see modern skyscrapers standing right next to a 300 year-old church from GEOS' campus. 4. The first public school and the first subway system in America were created here! 5. Boston is located on the North Atlantic coast, so you can enjoy fresh seafood every day: local lobster and traditional clam chowder are a must! 6. A big percentage of Boston’s population is composed of students, making the city very student-friendly. World-renowned for its universities, Boston is the ultimate student city. You’ll discover a rich history, a thriving cafe culture and a wealth of green areas. 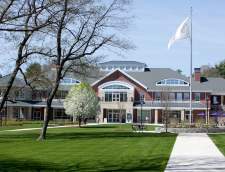 Kings Boston is located on the beautiful wooded campus of Pine Manor College, in the exclusive suburb of Brookline. The campus location ensures safe, attractive surroundings and means that you have access to a huge range of facilities, but the attractions of downtown Boston are just a short metro ride away. The nearest T-station is Chestnut Hill, which is just a 15 minute walk from Kings Boston. Learning and sports facilities: - Well-equipped, spacious classrooms - Free wireless internet within Kings Boston facilities - Well-stocked libraries - Computer Learning Center - Student Services - Soccer pitches and softball fields - Six outdoor tennis courts - Cross-country trails (entirely on campus) - Fitness room with modern equipment - Gymnasium for indoor sports including basketball, softball, volleyball, tennis,badminton, dance and soccer Activities on campus: - Lectures, movies, drama workshops, computer and video workshops, seminars, debates, music, concerts and plays, plus a host of sports are all available. Catering facilities: Student cafeteria on site serving a wide selection of hot and cold food. There is a full-board on-campus accommodation option including 19 meals per week. An ideal place to study, PMC ELI is located on a beautiful campus with access to ample residential accommodations, superb facilities, high quality classes, and the world-class city of Boston. Classes start weekly including Intensive English, Semi-Intensive English, University Preparation, TOEFL, English + University Studies, and Private lessons. 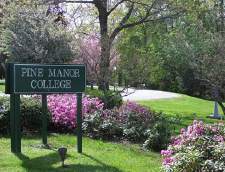 Degree-seeking students should consider applying for a Pine Manor College conditional acceptance before arriving to ELI. The social, cultural, and excursion programs keep our students busy from day one. The College’s athletic fields, tennis courts, gymnasium, exercise center, computer labs and library are always in use. Most of all, students appreciate their rapid English progression, personal attention from staff, and the extraordinary friendships they’ve made. Our Programs: ESL: Our full-time and part-time programs will help you improve your English skills fast in a warm and welcoming environment. If your goal is to study at the college level or pursue a career, our full-time academic programs will help you achieve your dreams! Our part-time classes are perfect for tourists and residents with busy schedules. If you want to learn English, BIA has the right programs and courses for you! TOEFL: One of the most popular tests of English proficiency for international student admissions and employers, the TOEFL (Test of English as a Foreign Language) is recognized around the world. We offer one of the best TOEFL test preparation courses in Boston! Our experienced teachers and proven curriculum will help you achieve the score you need. Our full-time Premium TOEFL 32 program is the first step on the pathway to your success! TEFL/TESOL: There is no better time to prepare for a teaching career than now. Having a certificate in TEFL/TESOL gives you an advantage in a competitive global market. Boston International Academy has developed a TEFL/TESOL course that serves all the needs of the developing educator. Practice the latest techniques for teaching language and learn to market yourself as an EFL professional. Afternoon Electives: Our Afternoon Electives courses are offered to students who want to supplement their full-time morning courses, or for part-time students who are looking to improve their English in a small classroom setting. We offer three different subjects: Oral Communication, Academic Writing & Note-Taking, and Business English. Stafford House Boston was established in 1996 and is located in the heart of Boston, just moments from the green space of Boston Common, historic Faneuil Hall Marketplace and even Macy’s which is over the road. Our ultra-modern school includes all the facilities you need for that all American adventure. The school applies the principles of small class size and interactive instruction and has a wide range of ESL programs for students from around the world who are interested in learning English. All of our teachers hold teaching qualifications ranging from certificate to diploma level and are committed to continuous development and share our passion for learning with our students. Το ELS/Boston City απέχει 10 λεπτά από το κέντρο της πόλης της Βοστώνης και στεγαζεται στο εμπορικό κτίριο του Cambridge College στη λεωφόρο Massachusetts, τον ίδιο δρόμο που βρίσκονται τα Πανεπιστήμια του Harvard και το MIT. Δύο κεντρικοί σταθμοί Μετρό σε κοντινή απόσταση με τα πόδια προσφέρουν στους σπουδαστές του ELS/Boston City Center εύκολη πρόσβαση σε πολυάριθμους ιστορικούς χώρους, κεντρικά καταστήματα και μουσεία, υπαίθρια αναψυχή και εξαιρετική νυχτερινή ζωή και διασκέδαση. Οι μαθητές μπορούν να απολαύσουν ημερήσιες εκδρομές και εκδρομές το Σαββατοκύριακο στο Cape Cod, τη Νέα Υόρκη, τους καταρράκτες του Νιαγάρα και το Μόντρεαλ του Καναδά. 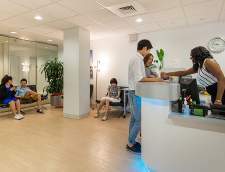 Established in 2006, Target International Student Center (TISC Boston) is a privately-owned Language School that offers General English, Test Preparation, Professional English and a TESOL Certification program. Our teaching approach is centered around two important ideas: smaller classroom sizes which gives our students more time with their teachers; and an English-only communicative approach which creates a thriving environment to learn. 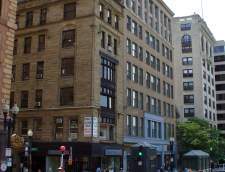 We are in one of Boston’s most vibrant college and university neighborhoods. Lovers of art, music, science and history will find world-class cultural institutions such as the Museum of Fine Arts, Institute of Contemporary Art, Boston Symphony Hall, the Museum of Science and the Isabella Stewart Gardner Museum among many others. Today, Boston has become one of the most culturally significant cities in the United States. With over 100 colleges and universities within the city and surrounding area, Boston is a center of higher education and a center for health care. Moreover, due to the increasing number of international students who seek to obtain a college degree in the USA, Boston has become an incredibly diverse city with all parts of the world represented in our city. TISC Boston guarantees students more in-class hours at an affordable price. Our team of qualified and dedicated teachers strive to provide students with the best language learning experience possible so that they can reach their highest potential..
Boston is one of the friendliest and most forward-thinking cities in the USA, with a rich history and strong reputation for academic excellence. This inspiring city is home to top-class sporting teams, beautiful Boston Common, and countless historic sights to see! 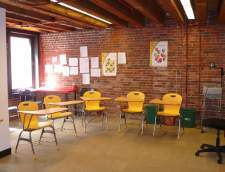 Classes are held at a fantastic Junior Centre in the heart of Boston, with all the attractions of the city within walking distance of the school. EC Boston’s Junior Centre has a dedicated EC Junior Coordinator. Most of EC’s homestays are located in the following areas: Jamaica Plain, West Roxbury, Salem, Marblehead, Winthrop, Revere, Everett, Medford, Melrose, Newton, Quincy, Malden, Somerville, the North Shore and South Shore. Each of these areas are residential and safe, and are an average 50-minute bus or subway journey to school. Access to Language Studies specializes in English summer courses that emphasize cultural exchange for high school students ages 14 to 18. We offer high quality programs in exciting destinations in the United States: Boston at Tufts University and San Diego at San Diego State University. Our Summer Programs enable international students to improve their ability to speak English while experiencing the diversity of American culture first-hand. They run for 2, 3, 4 or 5 weeks during the months of July and August. Our language program has 15 English lessons per week and our teachers are qualified ESL instructors. We offer a variety of supervised on-campus events and 5 field trips per week to places of interest such as museums, beaches, shopping malls, and favorite tourist sites. In addition to those activities, students may also choose to attend optional excursions to destinations such as Disneyland, California Adventure and New York City. Over 250,000 students from all over the world help give Boston the title of 'America's College Town' and with Harvard and MIT close by it’s easy to see why. Stafford House Boston's central downtown school is just moments from the green space of Boston Common, historic Faneuil Hall Marketplace and even Macy’s which is over the road. Our ultra-modern school includes all the facilities you need for that all American adventure. The city of Boston is America’s premier college town and one of the most international cities. First incorporated in 1630, Boston is also one of the United States’ oldest cities. Our Boston summer camp is located at Curry College. 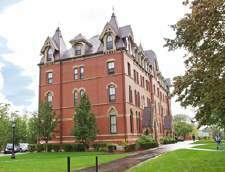 Situated on a 135-acre wooded campus and only 7 miles from the downtown core of Boston, Curry College is a great location not only for its beauty but also for the safety and security that it provides for our Summer Camp. The campus is right next door to the Blue Hills natural reservation, which offers breathtaking views and many kinds of outdoor recreational activities. New CATS campus with all-inclusive facilities, including dormitories and athletic fields on one beautiful site is situated in a leafy suburb of Braintree. Located 10 miles from downtown Boston and 10 miles from the beach! Braintree is the birthplace and residence of two American Presidents! One of the Top 10 “Best Places to Live in Massachusetts” according to Movoto! Είτε είστε φοιτητής, είτε επαγγελματία, ή ταξιδευτής, υπάρχει ένα κύκλος μαθήματος ξένης γλώσσας στη Βοστώνη που είναι κατάλληλος για σας. Υπάρχουν μάθημα αγγλικών για όλα τα γνωστικά επίπεδα, τις ηλικίες και την χρονική διάρκεια. Απλά επιλέξτε ένα είδος προγράμματος από την παρακάτω λίστα για να ξεκινήσετε.